I know there will be a huge bottleneck but I have to wait till I can get a better CPU, does my power supply, motherboard, and case allow me to actually be able to use this graphics card? You should wait , huge bottleneck and PSU is not up to the task. Sorry, but what do you mean by PSU? and not being up to the task? Power Supply. Not all power supplys can handle the amount of power needed. It's the usual dodgy, shoddily-build unsafe power supply that you see bargain PC assemblers stuff into prebuilts, assuming that their customers won't notice the difference. 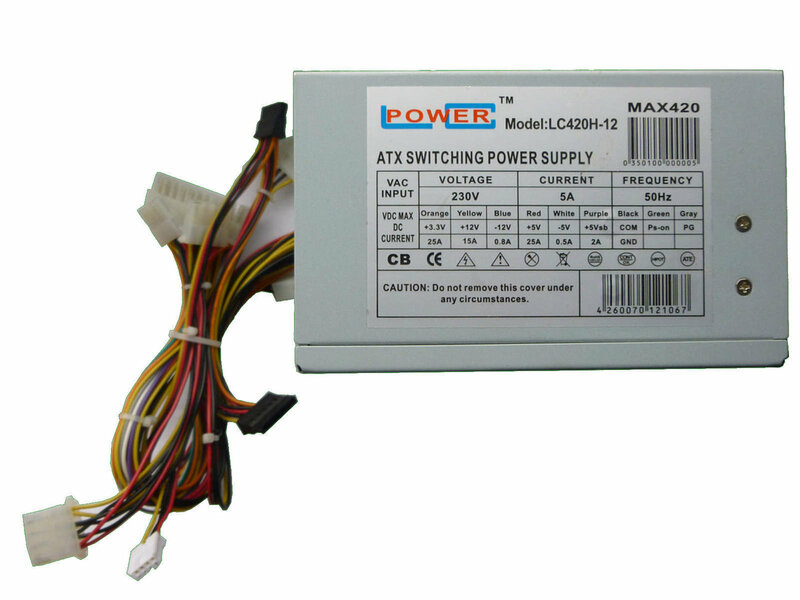 LC-Power is one of the most notorious of these off-brand PSU vendors. Any upgrade would involve a new power supply; I wouldn't even be comfortable having that in my PC even in your current configuration. Honestly, I'd wait until you can get a CPU upgrade for a GPU upgrade. Unless you're swapping out the CPU/motherboard/RAM in a month or something, by the time you made the upgrades, you could get a better-than-1070 or better-than-1060 GPU for the price of a 1070 or 1060 right now. Since you're nearly maxed out in what an FX-6300 can handle anyway, there's not a great deal of purpose to doing a GPU upgrade right now. The PSU has no 6 or 6+2 PCIE connections. Shouldn't be running any cards. Very poor quality. Man, 15A on the +12V rail. It doesn't even have the guts to be a garbage 350W masquerading as a 420W. Running a GTX 1070 or even 1060 on this (presumably with adapters) and it won't be long until you get a nice little fireworks show. Quite the frightening PSU. OP, even if this had high-quality parts, it's a 180W power supply, not a 420W one. It doesn't. It's bottom of the barrel. how is it ok to preassemble a 1050 and an fx on that? the only thing i'd get would be a good decent psu. save the rest, for 1-200usd there's little you could do. Yeah, a perfect 60 fps will necessarily involve some significant compromises no matter what you do. You're limited by your platform. Your best bet is to buy a PSU -- a quality one will still have many years left when you have a major upgrade -- and then hang tough until you can make a platform and GPU upgrade. For now, your best option is to simply turn settings all the way down rather than throw good money after bad. Question Should I upgrade my current GPU? GPU worth the upgrade w/ current setup?